I’ll explain Wandering Leopard in another post. Understand that Wandering Leopard is a metaphorical projection. There is meaning to it and it represents something. Additionally, this is part of the Infiniti Dealership challenge. Canada is next and above the US, relatively easy to cross the border. Before I crossed in 2005, there has been 15yrs since the M30 was debuted in 1990. The likelihood that an M30 has crossed before 2005 is a no brainer. However, I did not visit any Infiniti dealerships. I will now. Typically, I would like to have my M30 to show, but unfortunately, driving the M30 16hrs as of right now isn’t worth it. So how do I visit these dealerships and make it similar to having it visually interesting? How can I show I was at the dealership, yet represent that in this challenge without an M30? What I did in Paris. 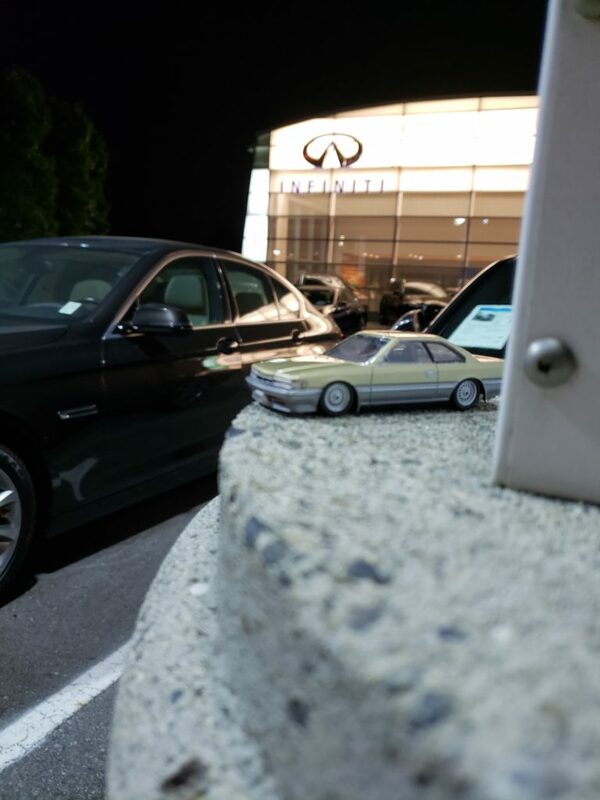 I brought a 1/43 scale F31 Leopard to help me visualize my imagination. In the small, narrow view, picture, it is a toy car at the life size dealership. In context, it was about being present at the dealerships (I’m gonna visit as many Infiniti dealerships as possible) and looking back at how many I have visited through a photojournalistic view. I mapped out the dealerships. I wanted to go at night that way there is less people and just take pictures. 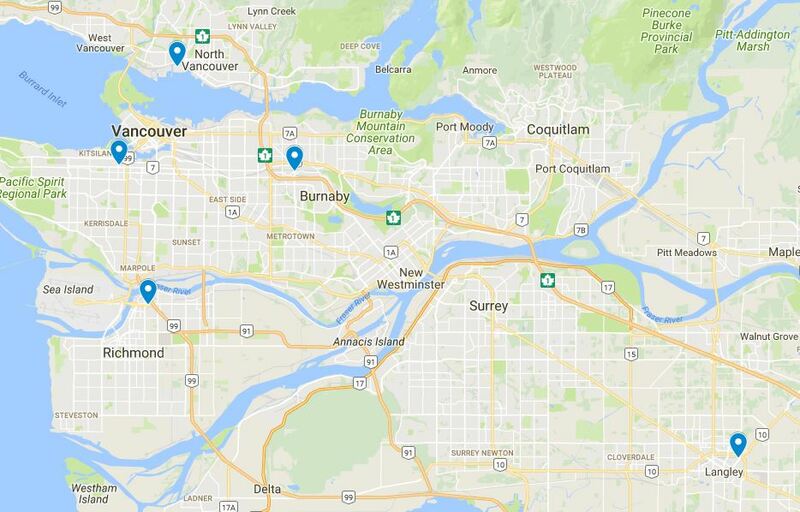 None of these dealerships will have any invaluable M30 information (as these came way past the original dealerships and were established after 2012). I did check the used car section to see if there was an M30 for sale, that would have been interesting to see! I was able to reach 4 out of the 6 available. While I did these at night, during the day, I had a busy schedule. I skipped out on going to Langley and taking pictures there. Campus Infiniti is in Victoria, which is Vancouver Island. I first went to Richmond to snap shots. Then I headed to Downtown… hit some inner city traffic, but not to bad… Noticed a ton of people around. Headed to North Vancouver, but since it was holiday weekend for BC day and Pride… Downtown was horrible!!! 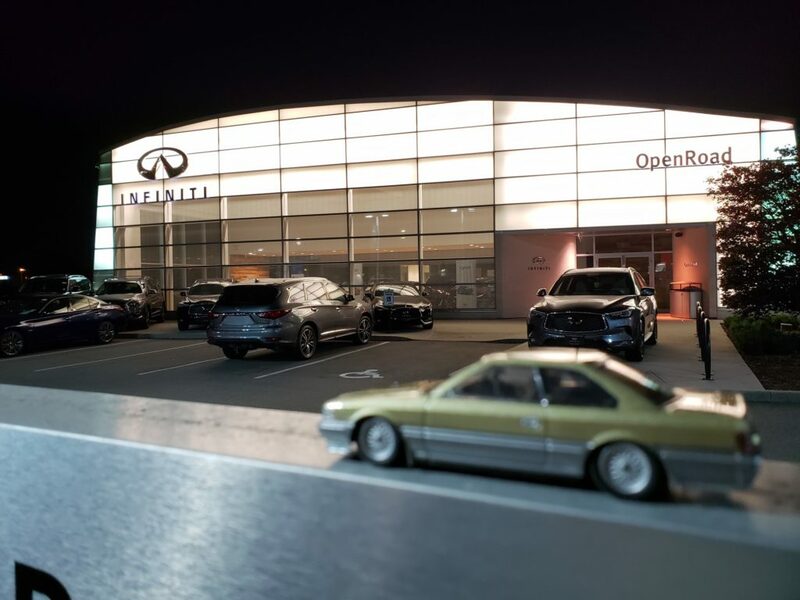 Finally got to North Vancouver’s Auto Mall, where Infiniti North Vancouver is located. The headed back to Burnaby, where Morrey Infiniti is close by. When I go back at the end of the month, the plan is to go to Victoria. Campus Infiniti will be hit up. Langley will also be taken cared of and F31club has hit a the BC dealerships. Hopefully I’ll get to see Campus Infiniti in Victoria! 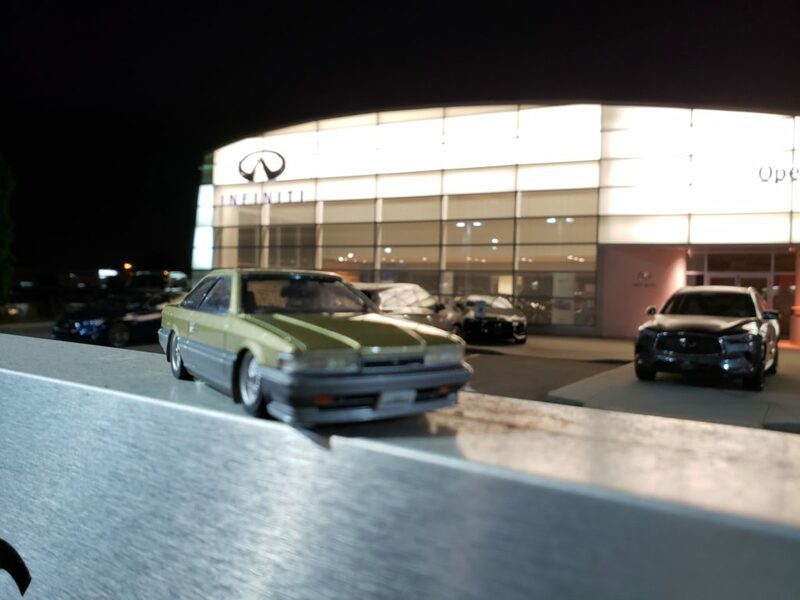 This entry was posted in blog, history, Owners, scale model, wandering leopard and tagged #infinitidealershipchallenge, dealership, infiniti, Infiniti dealership challenge.